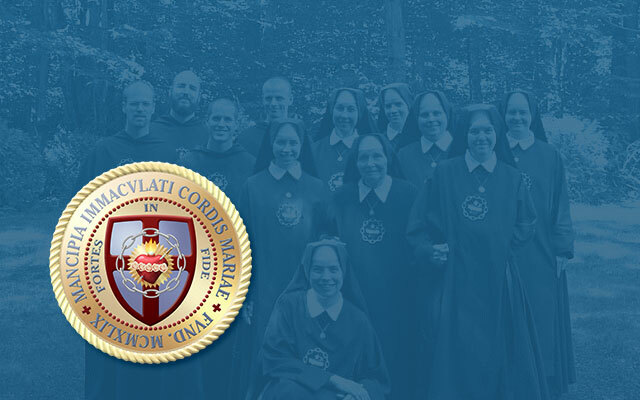 Along with our crusade in defense of the defined doctrine of no salvation outside the Church, Saint Benedict Center is committed to working for the conversion of America. The false ecumenism and religious indifferentism that infected the Church in the twentieth century did much to dissipate the promising momentum of conversions to the Faith that marked nineteenth century America. It is astonishing to read about the great work that Catholic priests and religious, sisters and brothers, were doing throughout this vast land not so long ago. (Learn here about “Real American Apostles.”) Converts were flocking into the Church because our priests were giving Protestants not only an invitation, but knowledge of the Faith, and a challenge to submit to a visible religious authority that had all the divine credentials. Whether it was through reading apologetic and polemical materials or by attending one of the thousands of missions given by Jesuits and Redemptorists, the hearts of non-Catholics were responding to grace in ever growing numbers. America was on its way to becoming a Catholic nation, and that was before the more massive waves of Catholic immigrants came here after the turn of the century. The Conversion of America to Catholicism: What’s the Holdup? Introduction: The following account is from Daniel Sargent’s book, Mitri, pages 113-116. A few explanations are in order to help the reader understand. Francis Parater: A Patron Saint for Boy Scouts? A Patron Saint for Boy Scouts? Yes, there is a candidate whose cause has been introduced for canonization.